Thanks to everyone who braved the (only slightly) inclement weather last night. One of our most social races yet, racers brought great enthusiasm for running and relaxing on this last event of the 2011 series. 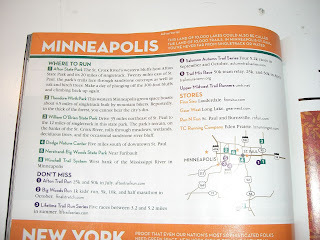 Racers finally experienced some typical fall weather, but were also treated to Surly Furious IPA following the race, as well as all the typical raffle prizes they have come to expect, including Salomon Shoe Certificates and $50 Hoigaards gift cards. Results for overall series placing were also disbursed, with everyone going home with a giant Cinnamon Roll from Great Harvest. Overall and Master winners also received Salomon Shoes Certificates, 2nd place recieved $50 Hoigaards gift certificates, and 3rd place recieved $25 Finn Sisu gift certificates. Mark your calendars for next year, with the trail series scheduled for Wednesday nights starting September 5th and going every other week for four races. Wednesday nights September 5th, September 19th, October 3rd, October 17th, 2012. *On a very interesting note, the tie breaker for third place overall was between Michelle Dankwerth and Margaret Shaffar, both of whom accumulated 182 points and had perfect attendance for the series. The winner for third place overall was decided by the lowest cumulative time for the four races, which went to Dankwerth with a time of 1:52:19, ahead of Shaffar with a time of 1:52:28. That's a mere 9 seconds over 14.5 miles! Some close competition ladies, keep it up. Rain or shine, the race is on! Surly Furious is on tap and we'll have extra tents to huddle under. Don't be afraid of a little rain, we'll have a grand old time! Race starts at 6:00. Awards will follow by 7:30 including raffle and overall and age-group prizes. 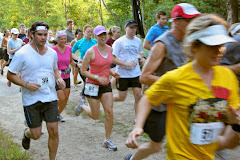 A great time was had last night at the third installment of the 2011 Salomon Autumn Trail Series. Beautiful sunny weather and a turnout of 109 runners made for our best event ever! As the competition heats up, runners are pushing themselves to their limits and reaching new personal bests. Props to those who won themselves a round-trip meal ticket! In the women's standings, a new overall lead has been established by Julie Cousins, overtaking Emi Yasaka in her absence. New leads in the 30-39 and 50-59 categories go to Margaret Shaffar and Corrine Kroehler, respectively. Lisa Thompson also set a new master women's record with a time of 25:10. In the men's competition, leader Max Renner remains untouchable as he continued his undefeated season and set a new course record in a time of 19:39. Ross Weinzierl put in a great effort and moved into second place overall, while Dmytro Koshevy and Sol Mirelez established leads in the 20-29 and 60+ age categories. The next race on October 12 will be the fourth and final race of the series. Start time moves up to 6PM. This should very exciting race, as the points for overall and age group leaders are very close in several categories. Winners will all depend on who shows up and who throws down. On top of some guaranteed close competition, runners will also be treated to Surly beer, end-of-series awards, and raffle prizes. Overall and master winners will receive a pair of Salomon XR CrossMax trail running shoes (a $130 retail value) and two additional pairs will be raffled off. Second place overall and two lucky raffle winners will win $50 Hoigaards gift cards, and 3rd place overall will win $25 Finn Sisu gift certificates. All overall and age group winners also get giant cinnamon rolls from Great Harvest in Linden Hills. 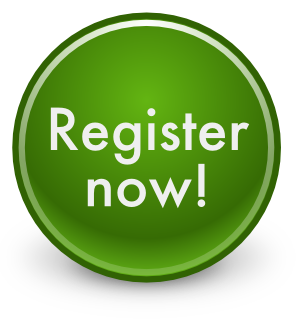 Pre-register to guarantee yourself a beer! Another great night of races last night at the Autumn Trail Series. 103 finishers set yet another attendance record, so a big round of applause to all those who participated! Ideal racing weather set the scene for fast racing and new personal bests were experienced by many racers. Men's winner Max Renner set a blazing fast time, finishing the 5.8k course in 19:44, breaking the previous course record of 19:57 held by Dave Duede. The women's race was won for a second time by Emi Yasaka in a time of 24:46. Masters winners in the 40+ age category were Michelle Dankwerth and Dan Moline. Dankwerth broke her own course record for master women, setting the bar at 27:21. In the series standings, Renner and Yasaka hold the overall lead, while Dankwerth and Moline lead the masters. The next race is on September 28th. 92 racers traipsed around the Hyland Lake trails yesterday night setting a new attendance record for the Autumn Trail Series, now in its third season. Racers were treated to swag from Salomon, Hoigaards, Finn Sisu, and TCRC, as well as delicious refreshments such as organic Colorado peaches from FruitShare.com, Dynamoo chocolate milk, ClifShot electrolyte drink, Clif Builder's Bars, and Great Harvest Bread. The fastest time were brought in by Max Renner, 23 from Green Bay, WI and Emi Yasaka, 34 from Minneapolis who ran the 5.8k course in 20:45 and 26:01, respectively. Also slotted to represent in leader bibs for the masters are Michelle Dankwerth and Dan Moline. The grand prize winners in the raffle, bringing home a certificate for a pair of Salomon XR CrossMax trail running shoes ($130 retail value) were Jennifer Brown and Margaret Rudolph. 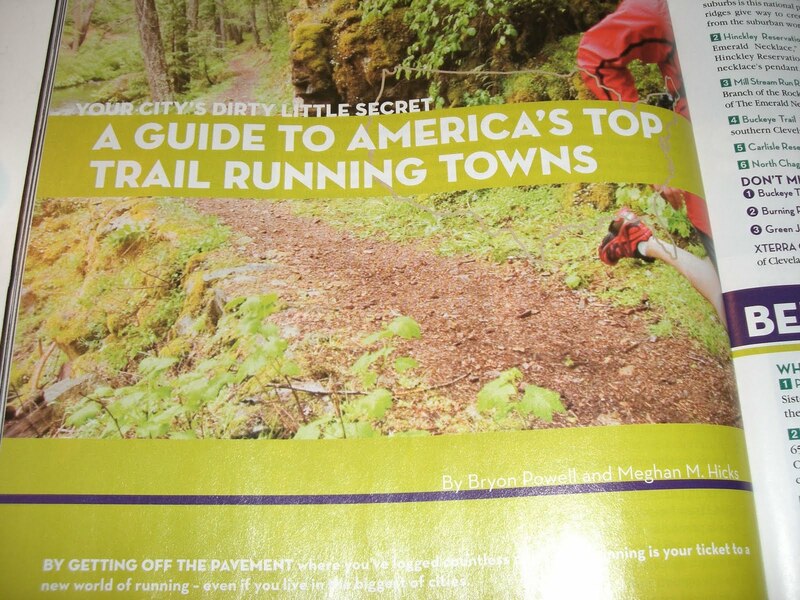 The next installment of the Autumn Trail Series is on September 14. 7 days to go! Get ready for a great season of races. Just one month to go before the kick-off of the 2011 Salomon Autumn Trail Series. It should be another great year for the races, I know I'm looking forward to cooler (and less humid) training conditions. We've got some great sponsors on board including Surly Brewing Co, ClifBar, Justin's Nut Butter, Hoigaards, FruitShare, Dynamoo Chocolate Milk, Great Harvest, and of course, Salomon. We will once again be having a weekly raffle and end-of-series awards. If you haven't registered yet, get on it, as the first 50 to register for the entire series receive a complementary gift from Salomon. To get the latest updates on the races, always check the back here and like us on Facebook. 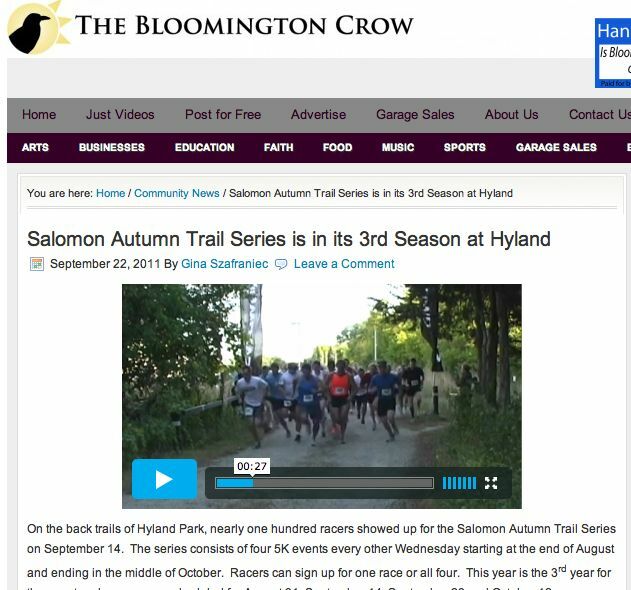 Look for dynamoo chocolate milk at each event of the Salomon Autumn Trail Series. With their single serving packaging you can have one on hand immediately at the end of your workout. With an optimal balance of fats, carbs, protein, and electrolytes, chocolate milk is perfect drink to optimize your recovery. Grab and go with these convenient drink boxes! 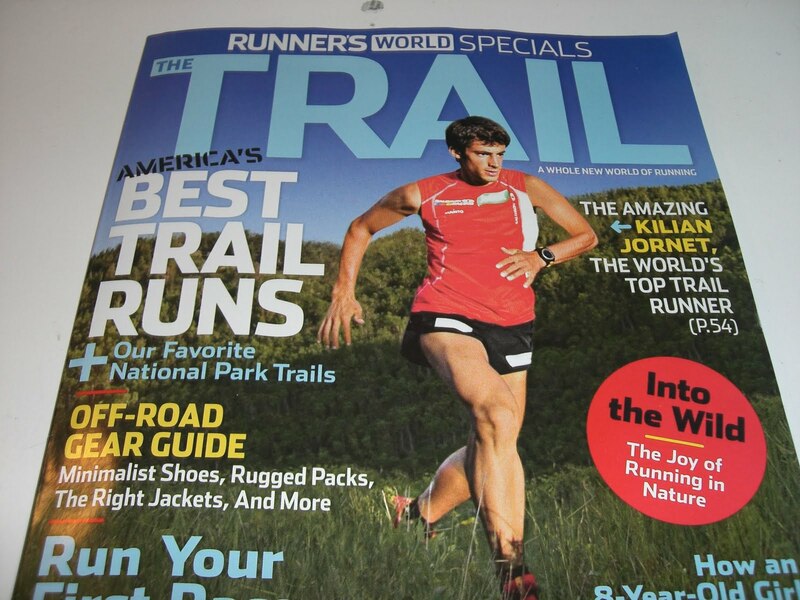 Justn's Nut Butter is once again sponsoring the Autumn Trail Series. Look for their oh-so-convenient squeeze packs at our event--no sugar crash with these delicious monosaturated fats. Justin's uses only the finest natural and organic ingredients that are sustainably harvested to create fresh and flavorful-tasting nut butters. Try any of their 8 flavors, such as chocolate hazelnut, maple almond, or classic peanut, which can be found online or at local retailers such as Whole Foods, SuperTarget, and REI. Want to be involved in the Autumn Trail Series, but aren't a runner? Then volunteer! Are you participating in the series, but have friends or family who want to spectate? Get them to volunteer! Volunteers are needed on all four dates (Aug 31, Sept 14, Sept 28, Oct 12, 2011) for course set up (beginning at 3PM), racer check-in, hospitality, timing, and course take down (until 8:30). Volunteer incentives will be in place (ie swag and prizes for your time). Have fun and give back! 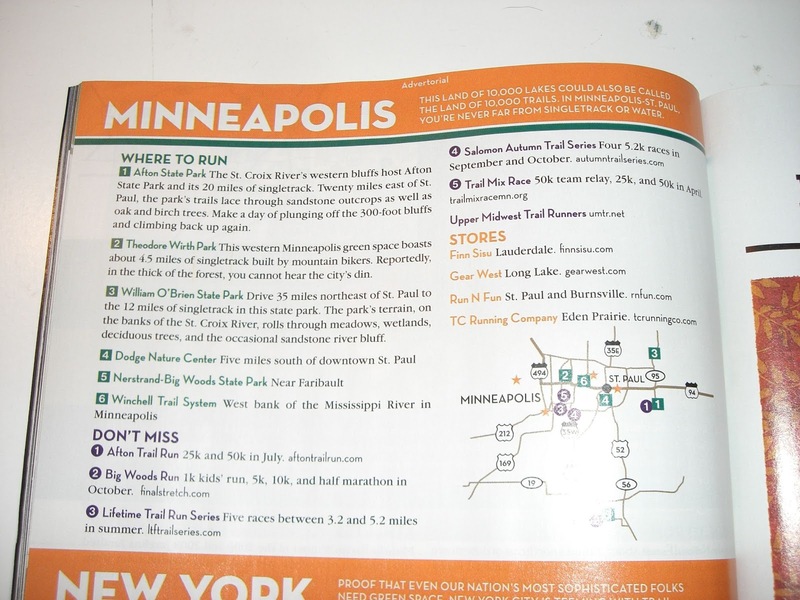 Page 52, Salomon Autumn Trail Series is featured as one of the five "Don't Miss" Minneapolis events. You got that right! 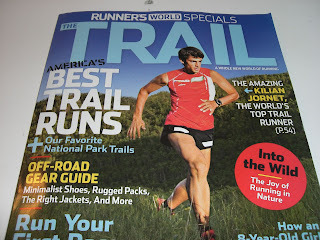 Plans for the 2011 race series are in the works. The dates are set and online registration is available.